Check out these recent reviews left on Amazon.com. Leave a comment on Who was Bilal? Have you read the blurb for “Our Journeys” by Michael Wolfe? You can read it at LatinoMuslims.net. Michael is one of the screenwriters of the animated film about Bilal. Bilal was one of the Prophet Muhammad’s companions. The movie is out now. Bilal is considered as the first muezzin, chosen by the Prophet Muhammad himself. A muezzin calls Muslims to prayer. He was known for his beautiful voice when calling people to prayer. There is the mother who converted when she saw her son transition from a life of drugs and crime to one of prayer and faithful religious practice. Then there’s the story of the guy who met the woman of his dreams, moved to Kenya to pursue her, and converted in order to become her husband. Or there is the Marine who took the shahadah while stationed in Japan. There are former Pentecostals and Catholics, Jehovah’s Witnesses and agnostics, atheists and Mormons; they’ve all converted to Islam. They are from Puerto Rico and Mexico, Argentina and Ecuador, San Franciso and San Salvador, New York, Newark, Miami, and Houston. 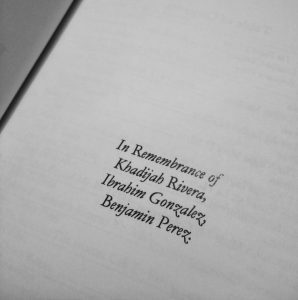 When I started learning from Latinx Muslims back in 2012 I was able to cobble together a few articles from scholars such as SpearIt, Patrick Bowen, and Hisham Aidi, read a single monograph (Hjamil A. MartÃ­nez-VÃ¡squez’s Latina/o Y Musulmán: The Construction of Latina/o Identity among Latina/o Muslims in the United States), peruse blogs, and talk to leading Latina/o Muslims like Juan Galvan, Daniel Abdullah Hernandez, Mujahid Fletcher, Isa Parada, and Juan Alvarado to complete my research. The result was my master’s thesis Islam en Español: The narratives, demographics, conversion causeways, & conditions for community cohesion among Latina/o Muslims in the U.S.
At the end of my thesis, I wrote there was still a pertinent need to expand research in this area and in the quest for quality, comprehensive, newswriting and coverage, that students and commentators should provide more nuanced information about this important religious community. Over the last several years I have seen an increasing amount of new research, publications, and writing on the subject. It’s an exciting time to be in the field. I start with this text because it is both highly valuable and for me, it is highly personal. Since I first met Isa Parada at a masjid in Houston, TX and began learning from my Latinx Muslim teachers and friends I have remained humbly fascinated with Latinx Muslim journeys through the uncertainties of being “quadruple minorities” — Latinx in the Muslim community, Muslim in the Latinx community, Latinx in the U.S., and Muslim in the U.S.
Against, and alongside, what he posits as a poisonous prison system he showcases the spiritual journeys of many Muslims who convert while incarcerated. 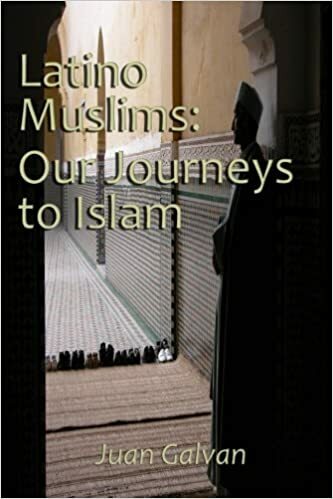 Significantly, he includes an exploration and analysis of Latinx Muslims — their conversions, their communities, and their central importance in telling the story of Islam in the U.S.
One of the more significant voices in my research has been “Imam Danny.” He is a scholar, an inter-religious leader, and a friend. His tireless efforts at understanding, communicating, and sharing Islamic theology are well appreciated by many Muslims — Latinx and otherwise. His most recent project is a labor of love that also opens up a window into the influence of Latinx Muslims in the process of Islamic theology in the U.S. and abroad. Not only have Latinx Muslims been producing works, and translating works into, Spanish over the last 40 years, they have also been creating new works in English. Imam Hernandez’s efforts at translating and collecting 42 hadith, reports of the words and deeds of the Prophet Muhammad (PBUH) and other early Muslims, on the five pillars of Islamic practice (confessing the faith, prayer, charity, fasting, and the hajj pilgrimage) are quick, practical, references for intentional Muslims. More than that, they are another prime example of indigenous knowledge production and leadership among Latinx Muslims who are making an impact on their religion in the U.S. and abroad. It is evidence that Latinx Muslims are not only being shaped by the global umma (Muslim community) but also shaping it with their words and deeds. What they provide is the most comprehensive picture of the general make-up and sociological contours of the Latinx Muslim community in the U.S. They also make a critical interlude by discussing the idea of “Islamidad” — a distinct Latinx Muslim identity that resists complete assimilation to Arab cultural norms even as it reimagines and expands what it means to be Latinx and Muslim. I forgot to mention that I now have a Facebook page. I plan to post a “Today I…” everyday. If you don’t like Facebook, you can still check out my FB posts by clicking on the Facebook Feeds link on this blog. InshaAllah. Today I added a Facebook Feeds plugin to my WordPress blog. Now visitors to my blog can view all of my Facebook posts without visiting Facebook.